Christmas making has taken over my life and I love it! Any spare second I have, my hands are being kept busy making wreaths, finishing bracelets - I can't stop. 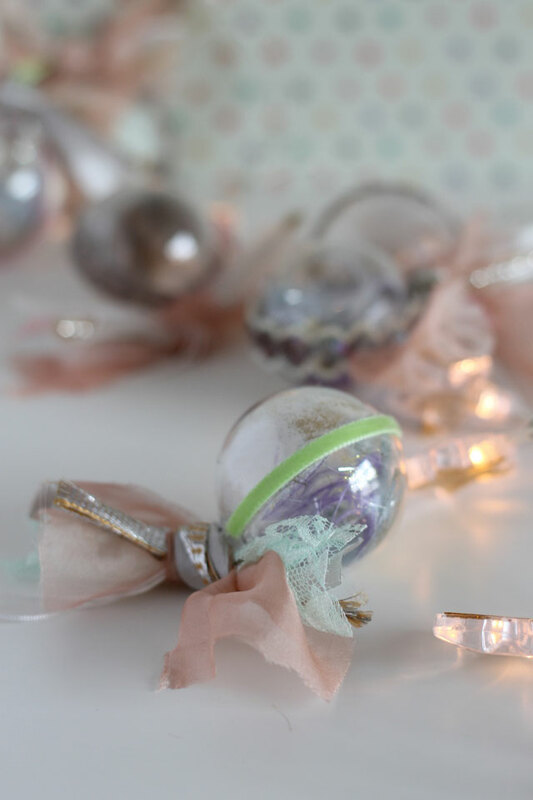 The up/down side is I have to keep projects speedy and simple, like these soft focus diy feather baubles (I'd really love to undertake a big project sometime). 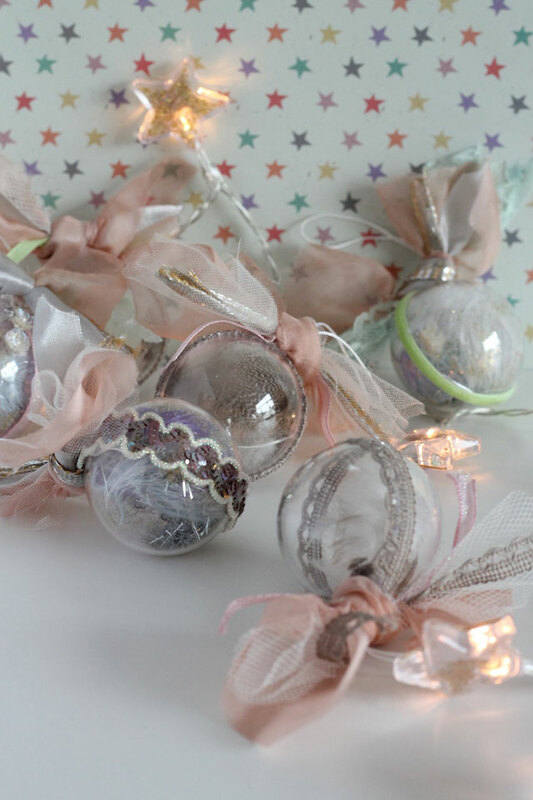 These baubles were intended for our Crafting The Seasons party but arrived a week late, instead of sending them back I kept hold of them because despite looking at bit plasticy in the packet I knew they had potential. The first set I made were for the Christmas tree in my lounge, I made them in bright jewel colours and they look gorgeous mixed in with my Liberty print Christmas tree and tassels. For this set I went soft and romantic for my dining room, which I am planning on decorating this weekend, here's how I did it. 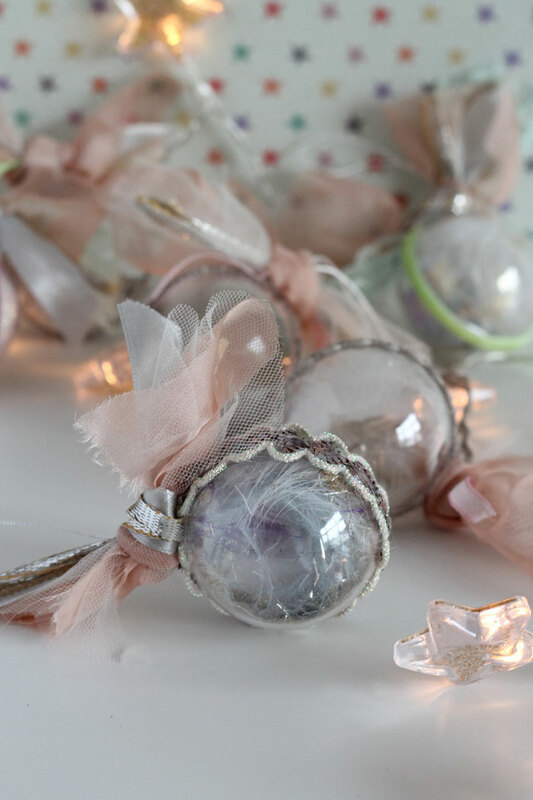 You'll need - clear plastic baubles, feathers, glitter, a glue gun and a selection of ribbons and fabric. Step 1. Add a few feathers to one half of the bauble and a pinch of glitter. 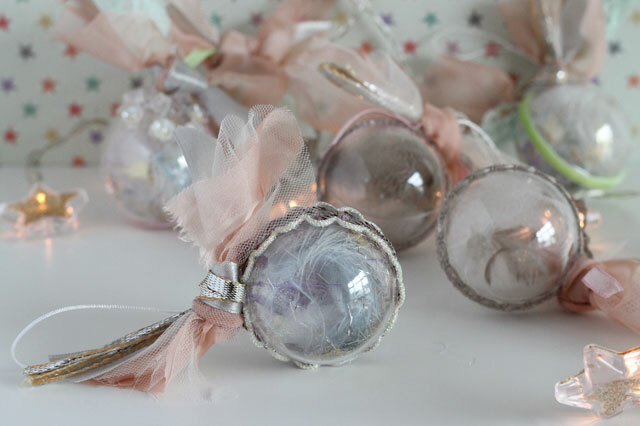 Add the second half of the bauble to close and give it a shake to mix the glitter. Step 2. Glue a line of ribbon around the centre of the bauble, covering the join. Step 4. Take a selection of ribbons, use a mix of soft chiffons, lace and metallics and tie around the ribbon/cord loop. Glue into place. These are so simple, I've used a mix of feathers I collected throughout the year alongside some ostrich feathers I had in my collection. I really love the softness the duck feathers bring to these decorations. 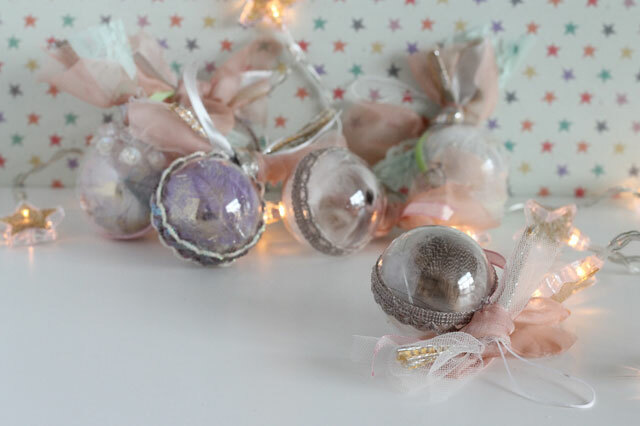 I think they would look really amazing if you used glass baubles but with an extremely naughty cat in the house these are just the ticket.